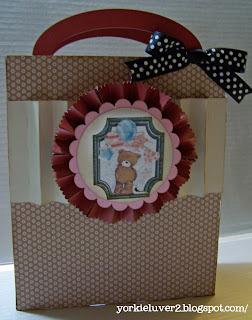 The bag and rosette was made using the Vintage Paper Rosettes SVG Kit from svgcuts.com. 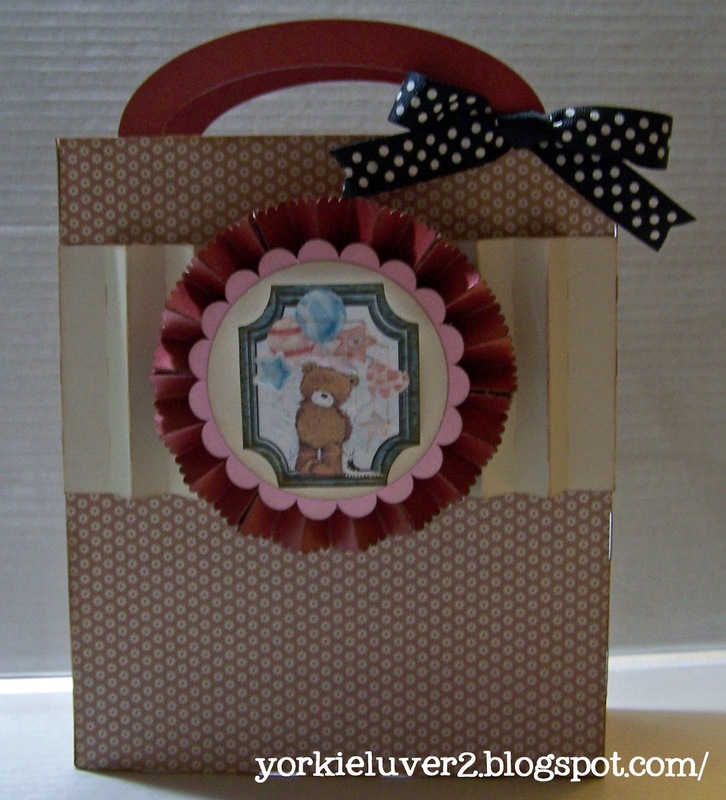 I've been wanting to make something using this kit and I decided I would use it for this challenge over at Celebrate the Occasion - Challenge 31. I used Popcorn the Bear Birthday Collection CD-ROM for the image. This CD is great because you can print out matching paper or you can print images. So many different ones to choose from and can even get project ideas with directions. Such a beautiful little gift bag! Great for any birthday gift! Thanks for celebrating birthdays with us at CTO! This is just too cute! Thanks for playing with us at CTO! This is adorable! I love the patterns and the rosette! Thanks for playing at CTO! This is such a beautiful gift bag, love it, thanks for joining CTO! 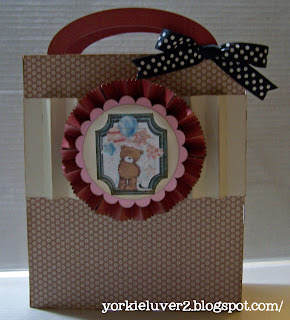 Very cute gift bag! 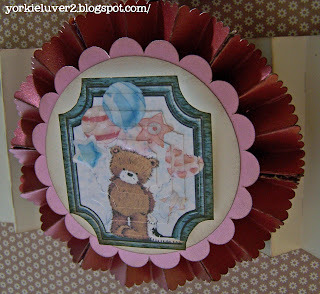 Love your rosette with the darling image!